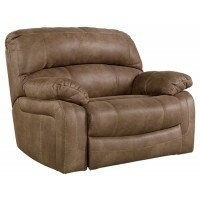 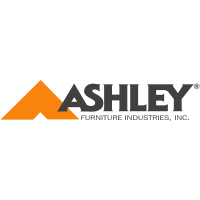 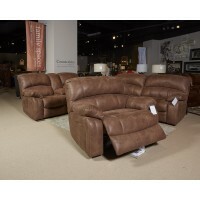 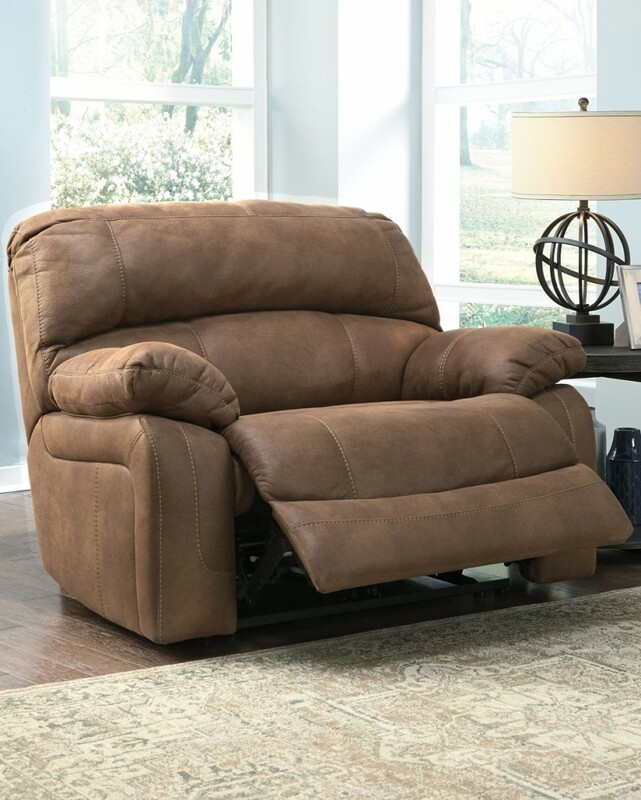 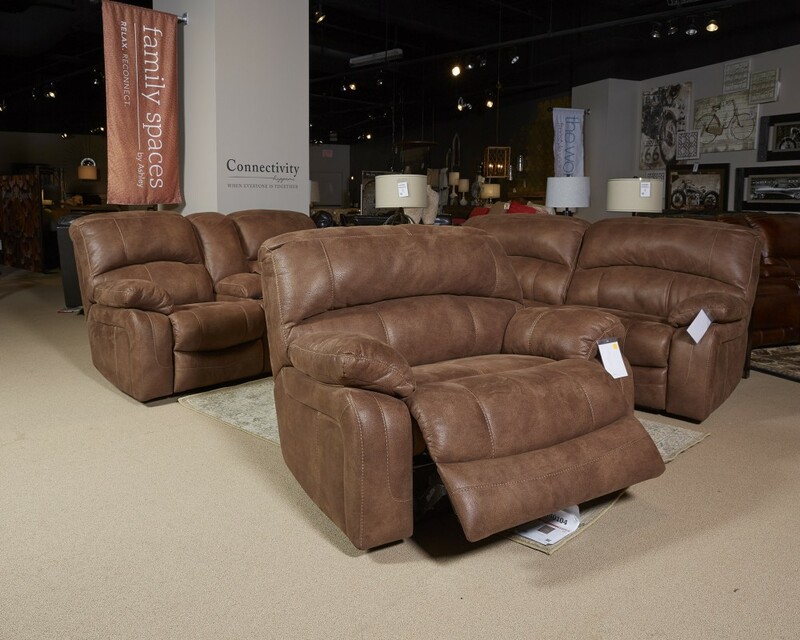 Make a high-style statement without breaking the budget with this oversized recliner. 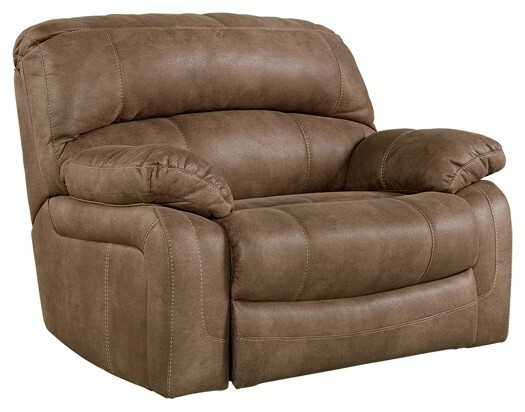 You’d think the upholstery was a heavily distressed leather. 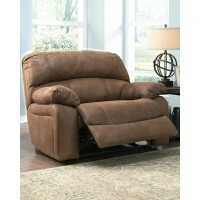 It’s actually a feel-good alternative crafted for looks, easy care and plush comfort. 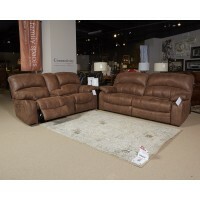 Thanks to its extra wide scale, there might even be room for two.